The apparent suicide death of the chief economist of a US investment house brings the number of financial workers who have died allegedly by their own hand to four in the last week. 50-year-old Mike Dueker, who had worked for Russell Investment for five years, was found dead close to the Tacoma Narrows Bridge in Washington State, says AP. Local police say he could have jumped over a fence and fallen 15 meters to his death, and are treating the case as a suicide. Dueker was reported missing by friends on January 29, and police had been searching for him. A Sheriff’s spokesman said investigators learned that he was having problems at work but did not elaborate. Jennifer Tice, a company spokeswoman declined to comment, however said, that Dueker was in good standing at Russell. Dueker joined Russell Investment in 2008. He wrote for Market Outlook financial services publications, forecasting the business cycle and the target federal funds rate. He is the creator and developer of a business cycle index that forecast economic performance published monthly on the Russell website. He was previously an assistant vice president and research economist at the Federal Reserve Bank of St. Louis, and is ranked in the top 5 percent of published economists. Over the past two decades he wrote dozens of research papers mostly on monetary policy, according to the bank’s website. His most-cited paper was “Strengthening the case for the yield curve as a predictor of U.S. recessions,” published in 1997 while he was a researcher at the Federal Reserve. Dueker held an undergraduate degree in math from the University of Oregon, a master’s degree in economics from Northwestern University and a Ph.D. from the University of Washington. Dueker’s apparent suicide was the fourth among financial experts in a week. A 58-year-old former senior executive at Deutsche Bank AG, William Broeksmit, was found dead on January 26 in his home after an apparent suicide in South Kensington in central London. The next day, January 27, Tata Motors managing director Karl Slym, 51, was found dead on the fourth floor of the Shangri-La hotel in Bangkok. Police said he could have committed suicide. Mr. Slym was staying on the 22nd floor with his wife, and was attending a board meeting in the Thai capital. 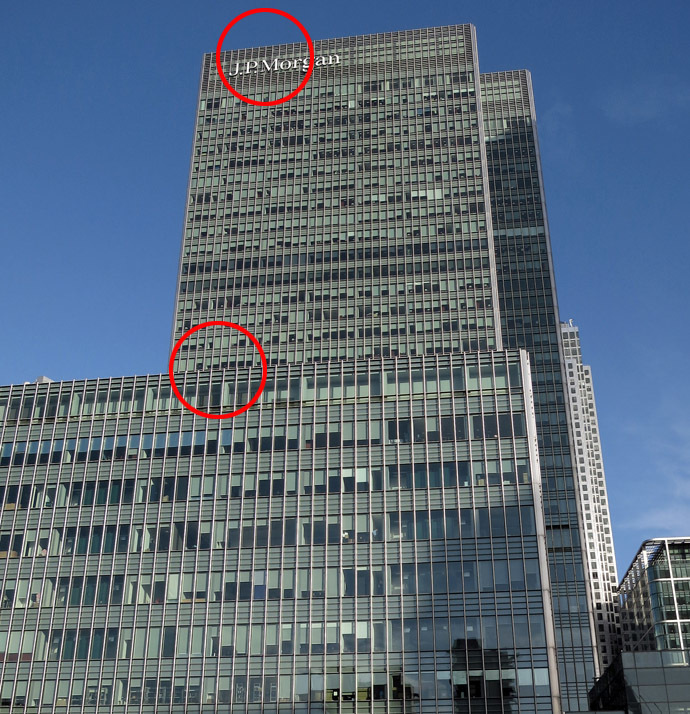 Another tragic incident occurred on January 28, when a 39-year-old Gabriel Magee, a JP Morgan employee, died after falling from the roof of its European headquarters in London. While creating fortunes, City and Wall Street jobs are notorious for extra-long working weeks and huge amounts of stress. In a move to ease the tension some of the world’s biggest lenders like Bank of America, Goldman Sachs, JP Morgan and Credit Suisse have been telling junior staff to take more time off. Some European countries like Belgium and the Netherlands have reduced the working week from 40 to 30 hours without damaging their economies, while in Germany an average worker puts in 35 hours a week and is the world’s fourth largest economy.